It’s a scary galaxy out there. Aside from Sith Lords and Imperial threats (and stormtroopers ruining the beautiful beaches of Scarif), travelers have to face threats of harsh terrain and harsher creatures. Some planets are so foreboding as to even send a chill up the spines of even the fiercest Jedi. 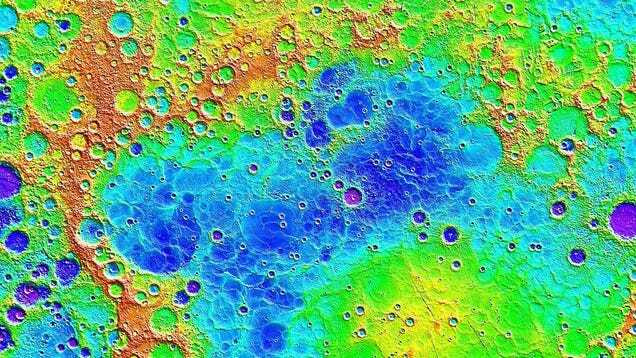 So, in the spirit of Halloween, let’s take a look at some of the scariest Star Wars planets. Moraband is a planet of ghosts with bad attitudes. Home to the original Sith, the red desert world is a mountainous wasteland apparently only populated by Sith spirits, and talking serpents (or was that an illusion?). The main attraction of Moraband is the temple located in the burial grounds known as the Valley of the Dark Lords. The Sith Temple itself contains a Jedi execution chamber, and the tomb of none other than Darth Bane — whose spirit also haunts the temple — making the Outer Rim planet a cradle of dark side evil. It’s not the dark side, ghosts, or monsters that will do in a traveler to Abafar — it’s their own mind. Aside from the sunken city settlement of Pons Ora, Abafar’s desert (nicknamed “The Void”) appears featureless, which is precisely why it is so frightening. Regolith on the surface twists light and obscures shadows, while the unique atmosphere turns the sunlight into an unchanging glow. Without a sense of place or direction, one might slowly lose their grip on sanity, lost and mad with thirst — unless, that is, they are lucky enough to hitch a ride with a herd of long-necked Void striders on their way to a water source. Dark and desolate, this battlefield planet haunts like few others in the galaxy. Malachor is foreboding with its rocky terrain and a hollow crust leading to a darkened underworld — and that’s before one discovers the petrified remains. The planet is strong with the dark side, and was the sight of the Great Scourge of Malachor where Jedi and Sith clashed millennia ago in a fight that involved Sith witches and superweapons. 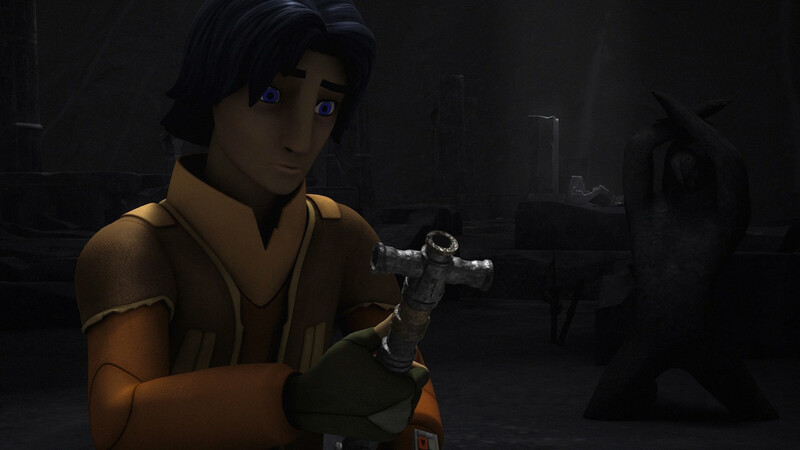 (As seen in the image above, Ezra Bridger discovered an ancient cross-saber among the charred bodies.) And no side truly won. 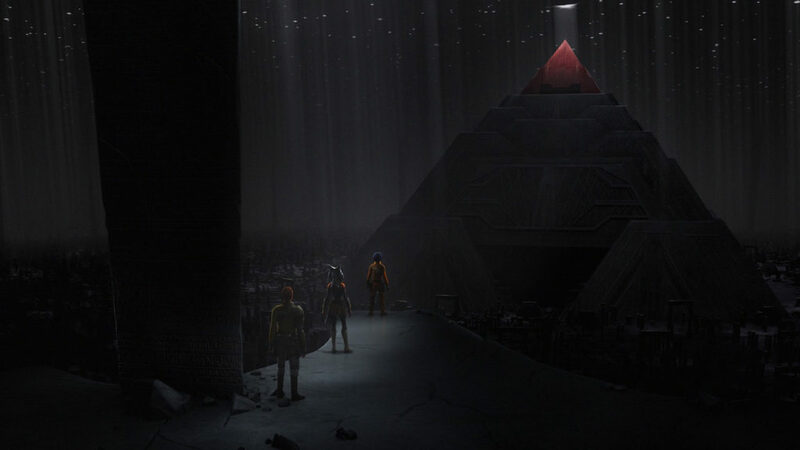 A Sith Temple exists beneath the planet surface, where a dark side “presence” existed within an obelisk, waiting to be activated. Malachor is so scary, it is used in a bogeyman tale told younglings, and a place for all Jedi to avoid. Shrouded in fog with raging rains and lightning, Dagobah is the definition of “dark and stormy.” Though there is no civilization, everything is alive on this Outer Rim swamp planet. And a lot of it might want to eat a traveler (droids being an exception). Swamp slugs, pythons, and dragonsnakes in peat bogs, and a whole lot more, pose a threat on this mysterious world. Dagobah also has the distinction of being strong with the living Force. But under a gnarltree exists the cave of evil, a nexus of the dark side. Approaching it fills one with a sense of dread, as the body goes cold and malice reaches out from it like tendrils. Should one enter this malevolent vergence, they will be haunted by sinister spectres and illusions which reflect their own deepest, darkest self. Most of Dagobah presents danger, but is a place of life. The cave is a domain of evil. What isn’t scary about this world in the Quelli sector? Under a blood-red sky, the dark side of the Force permeates Dathomir’s dangerous swamplands, overgrown vegetation, and forests populated by gnarled trees that bear cocoon fruit. It is home to all manner of creepy crawlies, like snakes and lizards, as well as the crustacean-like, tentacled beast “The Sleeper.” As if that isn’t enough, Dathomir is a home planet to rancors. But wait, there’s more: The scariest part of Dathomir are the Force-wielding Nightsisters, an unchallenged witch coven residing in fortresses along the swamps. One trick they can pull off with their dark magicks: Summoning armies of dead Nightsisters from those cocoons, who return as shrieking zombie mummies that destroy all in their path. Basically, Dathomir is a perfect nightmare planet where a haunted house may seem quaint. Storms rage as the gravitational pull of two gas giants constantly tug on this volcanic Outer Rim planet. The sky is blotted out, and lava fleas, man-eating lava eels, carnivorous roggwarts, and beetles crawl through lava rivers, tunnels, and caves. This doesn’t make Mustafar welcoming, but it’s not what makes it frightening. No, the fear-inducing reputation of the planet belongs to Darth Vader, and is home to his stronghold, a towering fortress. Vader was not born on Mustafar, but the planet was the sight of his duel with Obi-Wan Kenobi, where much of his human body was destroyed. Ironic, then, that the Dark Lord chose to build his tower of terror here, with the assistance of Sith Lord and sculptor Momin (whose powers allowed him to be restored via possession). Already a locus for the dark side, Fortress Vader acts as a tuning fork for the Force. Along with the fact that the castle is also where captured Jedi are sent to be interrogated and executed, Mustafar is hands-down one of the scariest places a traveler can find themselves. What do you think is the scariest Star Wars planet? Let us know in the comments below!